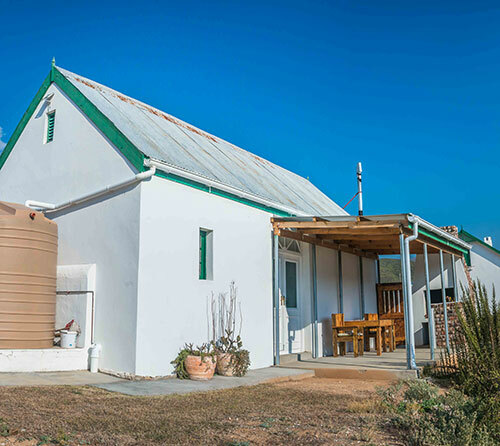 Enjoy this farmstay with no TV, WiFi or Cellphone reception. 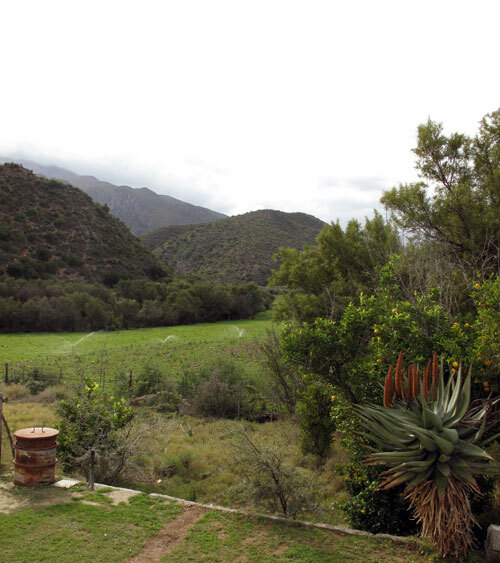 Enjoy the day fishing, hiking, swimming in the nearby river or exploring our 4x4- and walking trails - all in close proximity. 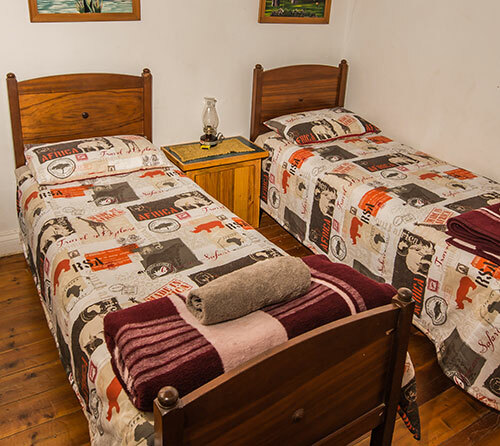 Children under 12 years - R150.00. 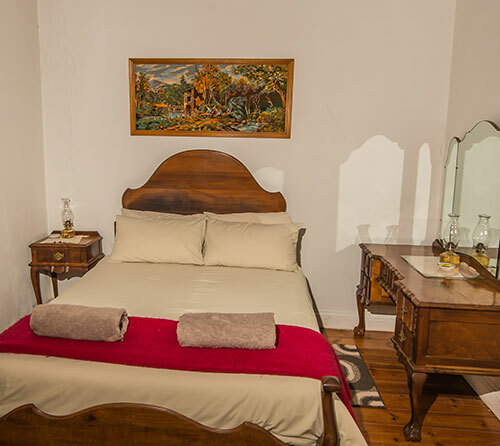 A better price can be arranged for larger groups or longer stays. 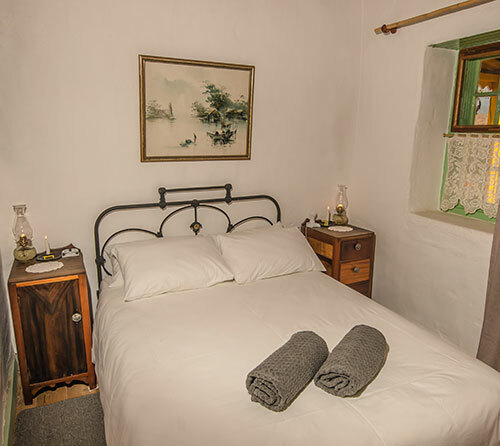 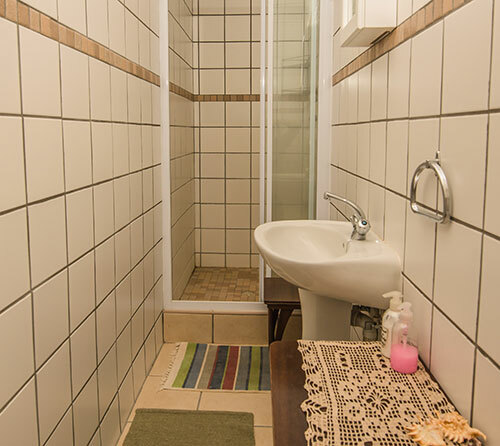 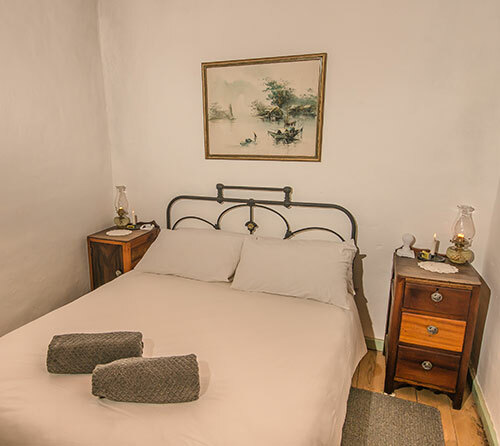 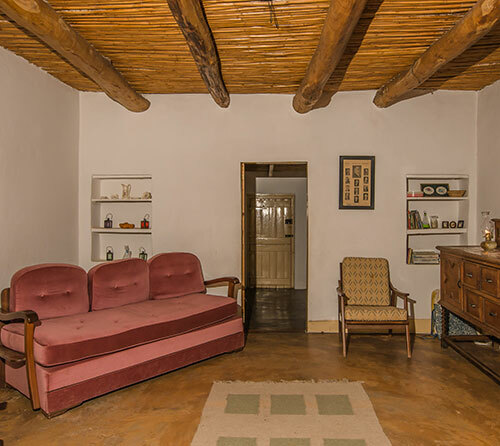 Built in 1936 by Pieter Thiart, this comfortably furnished and tastefully decorated cottage has 3 bedrooms and can accommodate 6 persons Two of the bedrooms each have a double bed while the third room has both a double and a single bed. 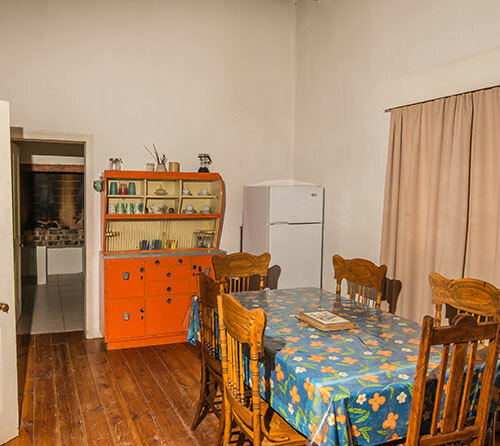 The unit is fully equipped and has electricity. 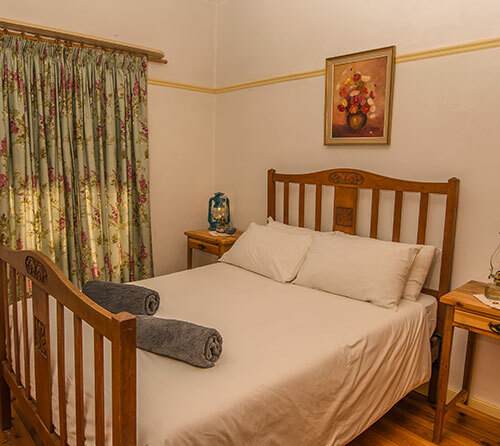 This comfortably furnished and tastefully decorated cottage dates back to 1860 and consists of 3 bedrooms accommodating 6 persons in total. 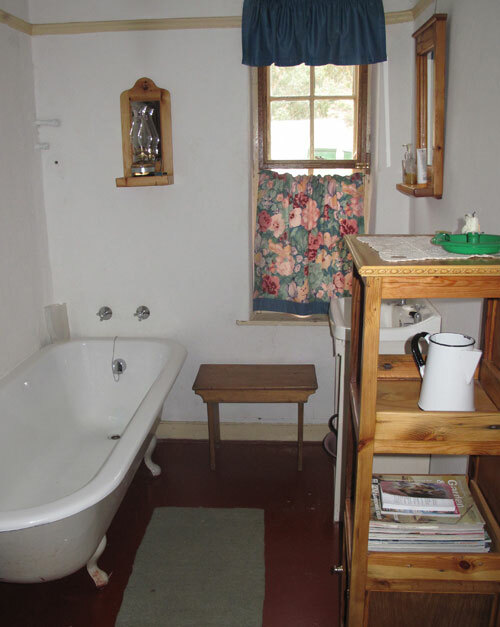 The unit is fully equipped and has electricity. 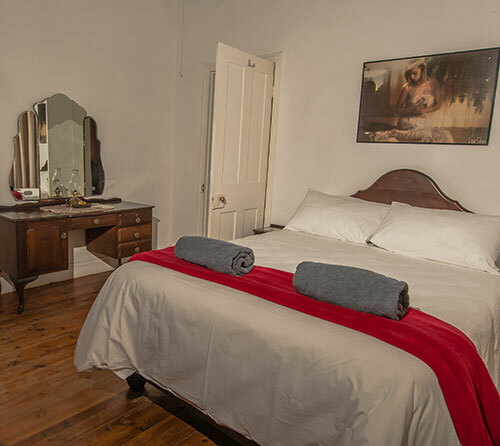 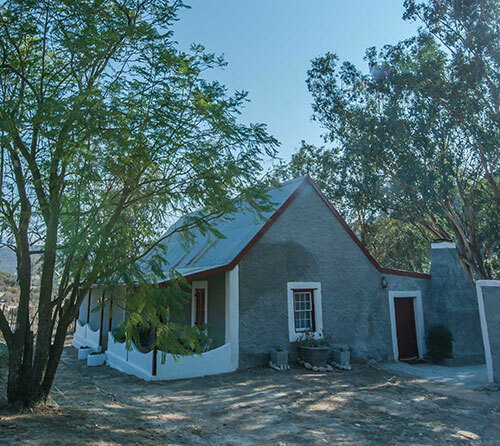 Cloete Huis is amongst one of the oldest buildings in Matjiesvlei and provides for the ideal honeymoon breakaway. 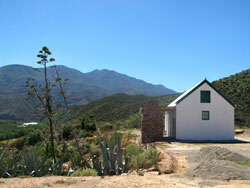 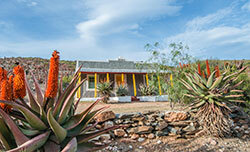 The house is fully furnished with one bedroom and a beautiful view of the valley and Swartberg Mountains. 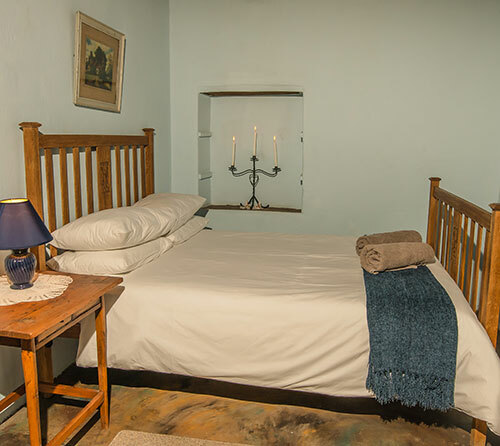 A seperate bedroom with 2 single beds and bathroom is also available in the outbuilding. 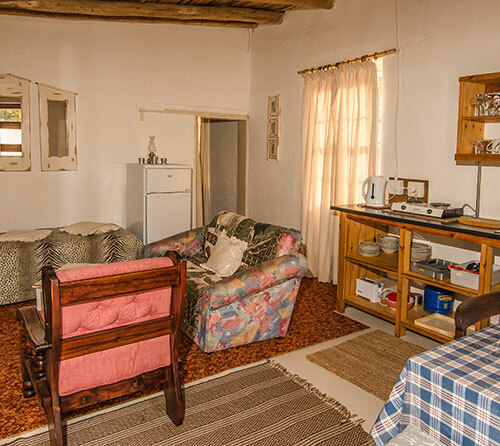 The house does not have electricity, but is equipped with sufficient candles, oil lamps, solar lights and a donkey boiler/gas geyser for hot water. 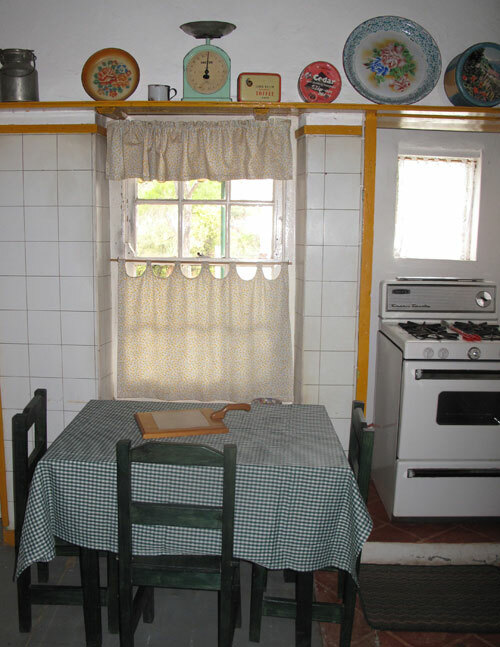 The kitchen consist of a gasstove and gasfridge. 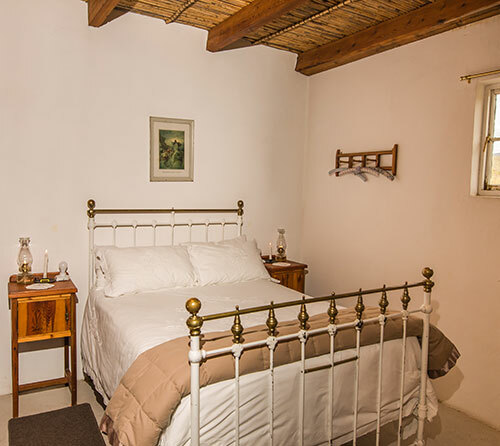 Huis Oppie Rant is a 3 bedroom self catering cottage with beautiful wooden floors and ceilings and a magnificent view of the mountains. 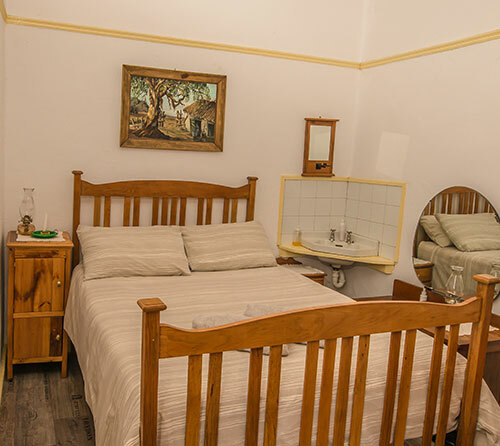 Two of the rooms each have a double bed while the third room has two single beds. 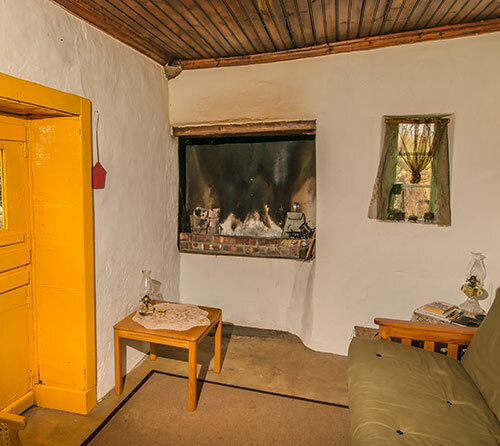 The cottage does not have electricity, but is equipped with sufficient gas lamps, solar lights and a donkey boiler/gas geyser for hot water. 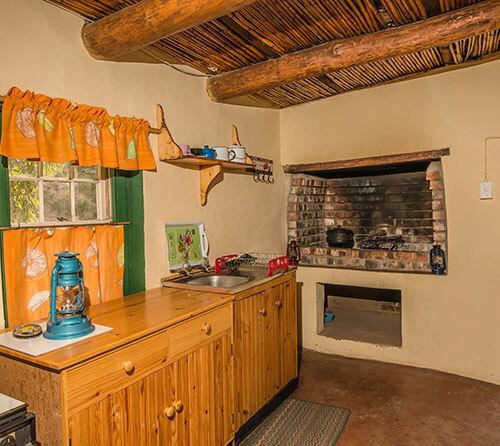 The cottage has its own braai facilities, fully equipped kitchen and bedding. 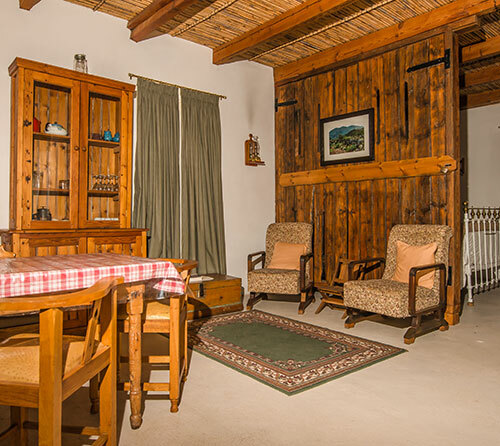 Completely isolated from the hustle and bustle of city life, you can enjoy the breathtaking sunsets from the veranda. 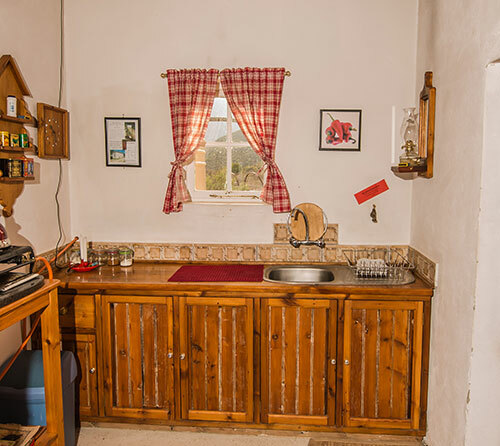 The kitchen consist of a gasstove and gasfridge. 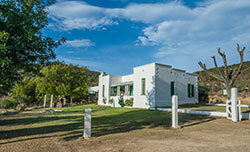 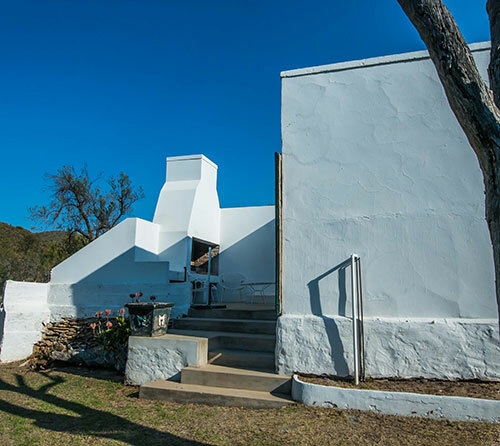 Die Wa-huis is situated on top of a hill overlooking a 2km stretch of the Gamka river. 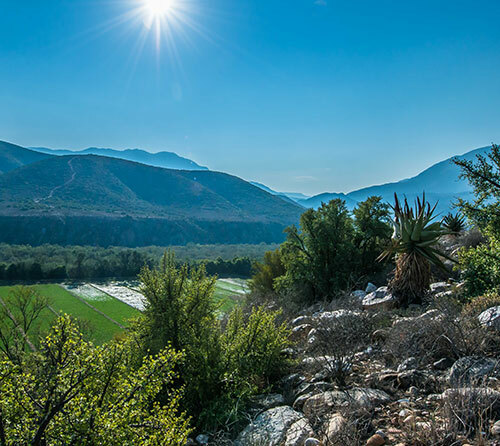 Stunning views of the river and mountains. 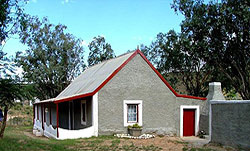 The cottage sleeps two. 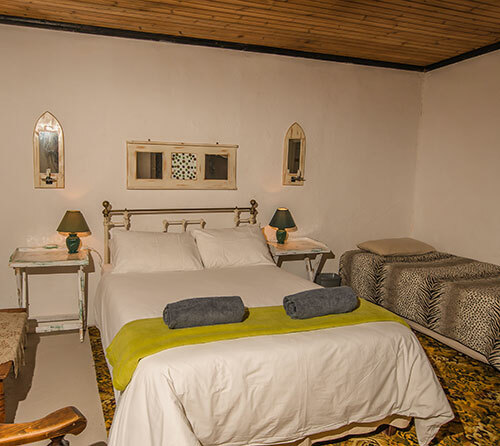 Without electricity but fully equipped with candles, lamps and solar lights. 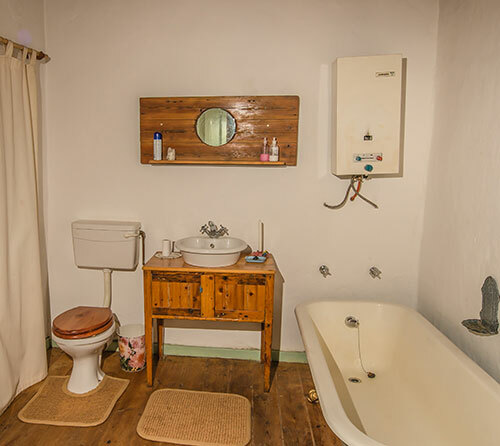 Gas stove, gasfridge/freezer and donkey-boiler/gas geyser for hot water. 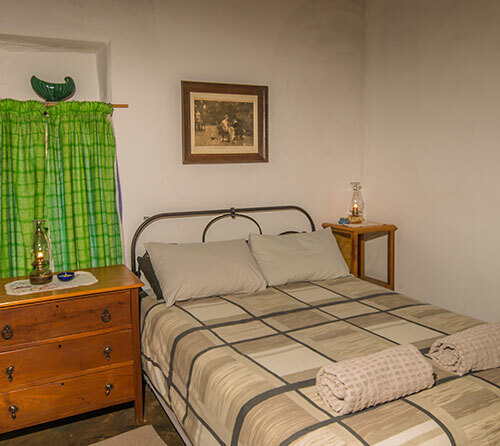 Come and experience how our ancestors lived some decades ago. 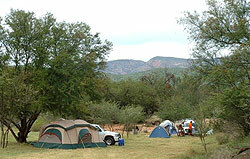 A shady 4x4 bush camp on the banks of the Gamka River with modern ablution blocks, flush toilets and hot water. 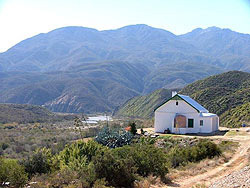 Enjoy fishing, swimming and boating in Die Dam. 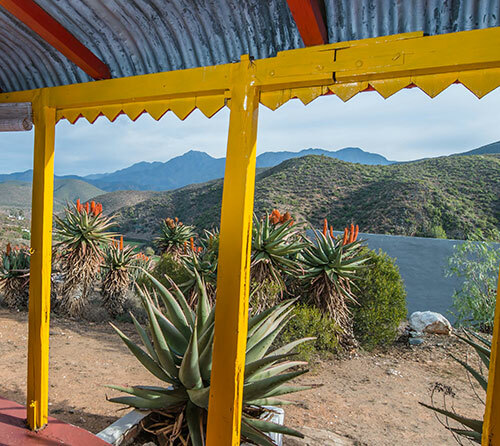 Also walks and hikes. 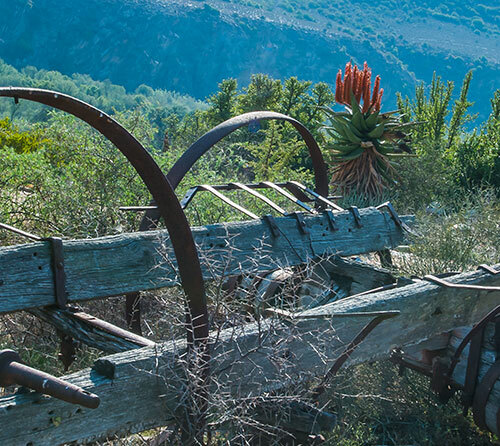 Starting at the Bush camp, drive the rugged Bojaankop 4x4 trail with its stunning views and steep climb reaching 540metres above sea level. 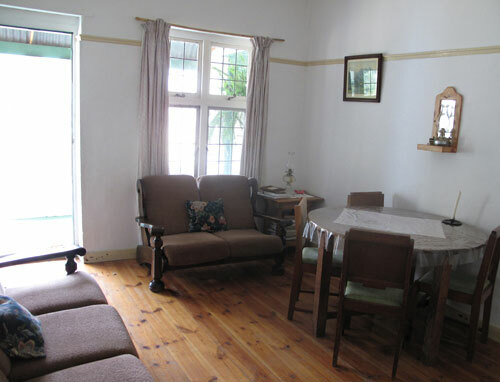 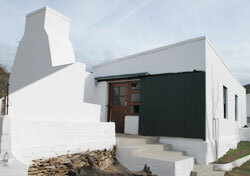 Self catering cottages are available where you can relax and enjoy the magnificent scenery.